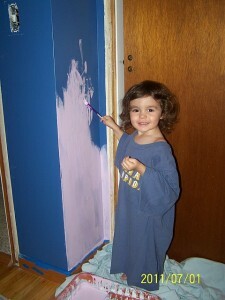 This past weekend we spent time painting and preparing Cardin’s big girl bedroom. 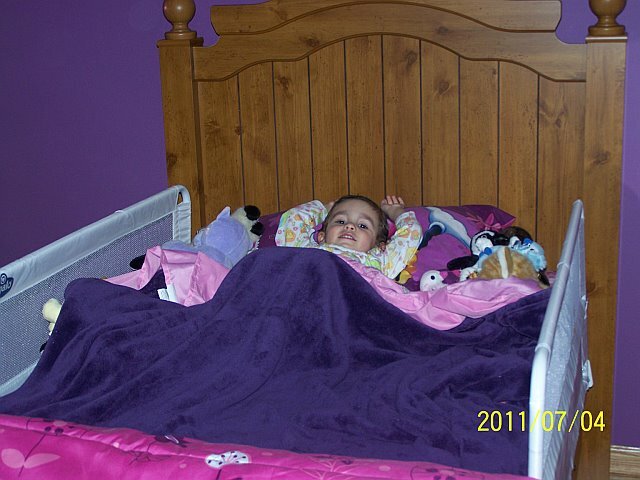 You see Internet, Cardin recently learned the art of climbing, so her crib become more of an obstacle course than a sleeping tool; at which point Brett and I looked at each other and said…..time for a real bed instead of a visit from family services. I’ll let you in on a secret Internet, this move has been a long time coming and a part of her “babyhood” that I had long been holding out on. We could have moved her many months prior and this had all been in the master plan. 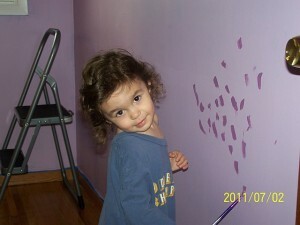 Unfortunately, the master plan got swept away back in April when we lost baby #3. Perhaps it was selfish of me, but this only proliferated my need to keep Cardin in her crib longer and extend as much “babiness” out of my growing toddler as possible. Often difficult when she screams, “NO, LET ME DO IT” constantly. 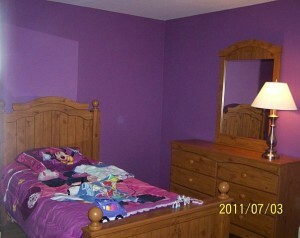 Once the climbing started we had no choice but to ramp up production of the big girl room. We included Cardin in selecting the paint color and had previously let her help pick out the Minnie Mouse bedspread she wanted. I threw caution to the wind and I even let her help paint the room….with real, permanent paint. The kind that doesn’t just wash off LADY. There were specific rules, like no painting the floor or body parts, and she was not allowed to wear anything but an old t-shirt of mine. The anxiety level was high and there were many “oops”, but we got through the day. Once the room was painted and the furniture in place she was like a sheep dog, herding Brett and I along to move all her toys and clothes. She quickly made herself right at home and had absolutely no problem laying out a minefield of toys in that room. I wonder if the novelty will wear off?